ARLINGTON, Va., Feb. 17, 2011. Marc Johnson, superintendent of the Sanger Unified School District, Sanger, Calif. has been named the 2011 AASA National Superintendent of the Year. Johnson was honored today at the opening ceremony of the American Association of School Administrators’ National Conference on Education in Denver. Now in its 24th year, the National Superintendent of the Year program, co-sponsored by AASA, ARAMARK Education and the ING Foundation, celebrates the contributions and leadership of public school superintendents. In announcing the selection, Daniel Domenech, AASA executive director had high praise for Johnson. “At a time when there is a great deal of focus on turning around schools and closing the achievement gap, Marc Johnson has been selected as our Superintendent of the Year precisely because he has walked the talk and has demonstrated that underachieving schools can turn around and become institutions where all children learn. “We honor him for his achievements and, in his role as Superintendent of the Year, he also represents colleagues in the field that, like Marc, are making a difference in the lives of our children. Education reform is alive and thriving in the hands of many superintendents and Marc Johnson is proof positive." Johnsonhas been superintendent of the Sanger School District; a rural district located in the Central Valley of California, which serves 10, 800 students, since 2003. 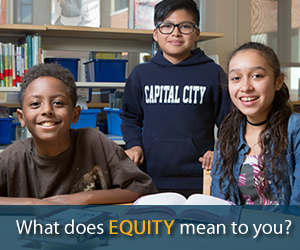 The highly diverse student population includes 82 percent minority enrollment, 76 percent free and reduced lunch recipients, and 24 percent English Language Learners. Johnson previously served as assistant superintendent of human resources and associate superintendent in the district. He is a graduate of Reedley Community College, California State University Fresno and Fresno Pacific University where he received his masters degree and completed his credential programs. This past spring Johnson was honored by both Reedley College and Fresno State as their Distinguished Alumnus. 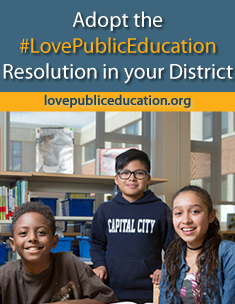 Johnson is recognized for restructuring the district’s schools into professional learning communities focused on student learning, high quality instruction and teacher collaboration. In a two-year time period the achievement gains were immediate and dramatic. Sanger became one of the first districts in the state of California to exit Program Improvement, its status under the No Child Left Behind Act in 2004. Since then, the Sanger District has shown some of the highest overall achievement gains in the state; 13 schools have been designated as State Distinguished Schools; 12 schools have been designated as Title I Academic Achieving Schools; two schools have been named National Blue Ribbon Schools and all 13 elementary schools were honored for their outstanding character development programs. As the 2011 National Superintendent of the Year honoree, Johnson is entitled to present a $10,000 college scholarship to a student at the high school from which he graduated. A national blue ribbon panel of educators, business leaders and government officials selected Johnson from four national finalists. The other national finalists were: Phinnize (Penny) J. Fisher, superintendent, Greenville County School System, South Carolina, Mary Alice Heuschel, superintendent, Renton School District, Washington and Tom Trigg, superintendent, Blue Valley Unified School District, Kansas. The four national finalists were chosen from 49 state Superintendent of the Year finalists, all of whom represent excellence in school leadership nationwide. The annual awards program is open to all U.S. public school superintendents as well as superintendents in Canada and in American International Schools. Leadership for learning – creativity in successfully meeting the needs of students in his or her school system. Communication – strength in both personal and organizational communication. 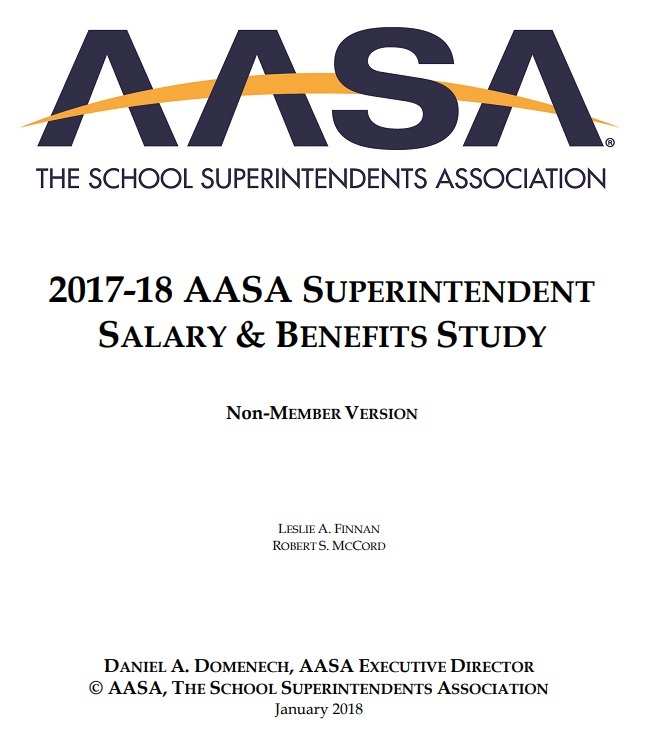 More information on the Superintendent of the Year program and a list of the 49 state-level award winners can be found at http://aasa.org/content.aspx?id=17524 . 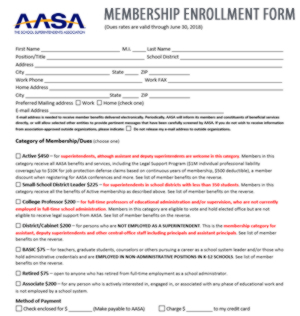 The American Association of School Administrators, founded in 1865, is the professional organization for more than 13,000 educational leaders in the United States and throughout the world. 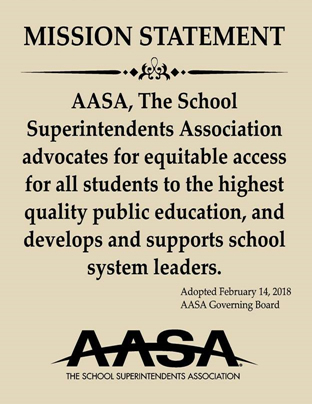 AASA’s mission is to support and develop effective school system leaders who are dedicated to the highest quality public education for all children. 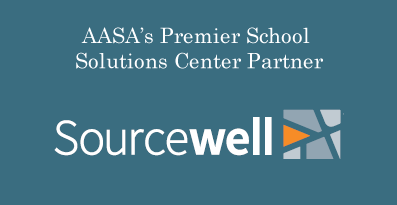 For more information, visit www.aasa.org. 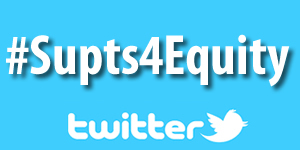 Follow AASA on twitter at www.twitter.com/AASAHQ. Become a fan of the AASA Facebook page at www.facebook.com/AASApage. ING is a global financial institution of Dutch origin offering banking, investments, life insurance, and retirement services to over 85 million residential, corporate and institutional clients in more than 40 countries. With a diverse workforce of about 115,000 people, ING is dedicated to setting the standard in helping our clients manage their financial future. For more information, visit www.ing.com/us. The ING Foundation’s mission is to improve the quality of life in communities where ING operates and its employees and customers live. Through charitable giving and employee volunteerism, the foundation focuses on programs in the areas of financial literacy, children’s education, diversity and environmental sustainability. For more information, visit www.ing-usafoundation.com.